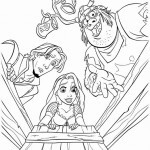 Welcome to our Tangled coloring pages! 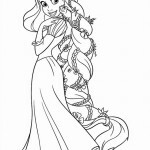 On this page you can find a lot of nice Tangled coloring pages. 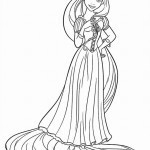 Did you know that Rapunzel is famous for her magical golden hair? 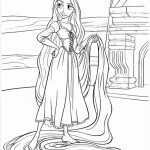 As you can see in our Tangled coloring pages, Rapunzel’s hair is very long – probably the longest hair you’ve ever seen! 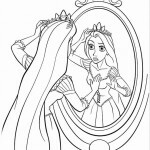 Rapunzel, a long-lost princess, who lives in a tower with Gothel, who she thinks is her mother. 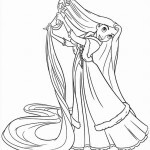 Rapunzel was kidnapped by Gothel when she was a baby. Gothels did that because of her magical golden hair that kept her young. 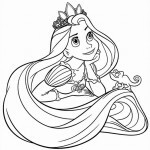 If you cut Rapunzel’s magical hair it would turn brown and lose its magic. 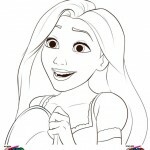 Every year on Rapunzel’s birthday, the kingdom where she came from sends thousands of sky lanterns into the sky hoping that their lost princess would return. 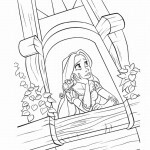 When she turns eighteen, Rapunzel asks “Mother” to let her see the floating lights, but because the world is full of dangers, Gothel denies her request. 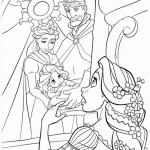 Meanwhile, The tiara of the missing princess is stolen, by thieves led by Flynn Rider, from the castle. 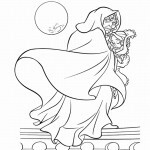 The thieves are chased by the kingdom guards. 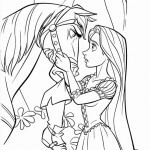 During the chase, the lead guard’s horse, Maximus, is separated from his rider and continues the search for Flynn on his own. 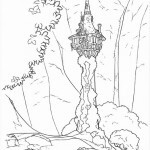 Flynn stumbles upon Rapunzel’s tower after he outwits his accomplices by taking the tiara, choosing it as a hideout. 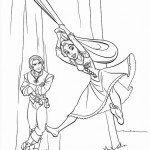 Once inside the tower, Flynn is knocked unconscious by Rapunzel who hides him and his satchel. 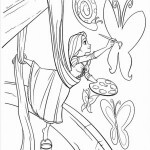 When Gothel returns, Rapunzel says that she wants a special paint for her birthday instead. 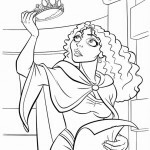 Gothel leaves for a three-day journey to bring the gift. 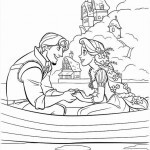 Then Rapunzel makes a deal with Flynn, a journey to the “lights” in exchange for the tiara. 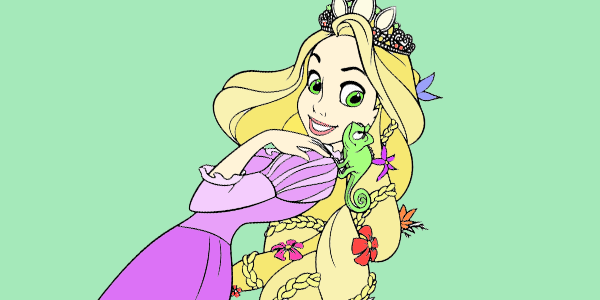 Rapunzel is soon conflicted between her freedom and her guilt of disobedience. 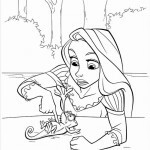 While traveling they stop at the Snuggly Duckling Parlor, which is full of thugs, just like Gothel had warned Rapunzel, but they eventually become friendly. 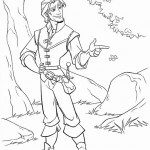 Done reading all about Tangled? 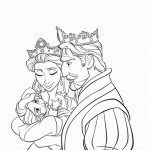 Do you feel ready to head on to our Tangled coloring pages now? 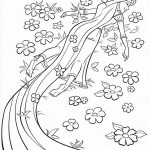 Well, in that case it’s time to start coloring!